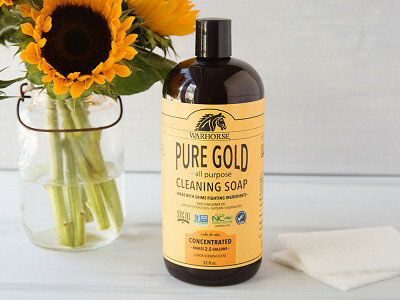 The sunflower-based biodegradable soap from Warhorse is tough on things like grease and dirt, but is surprisingly gentle on skin. That’s why this old-fashioned cleaner is still a go-to. Plus it’s all-natural, non-toxic, and non-GMO, too. 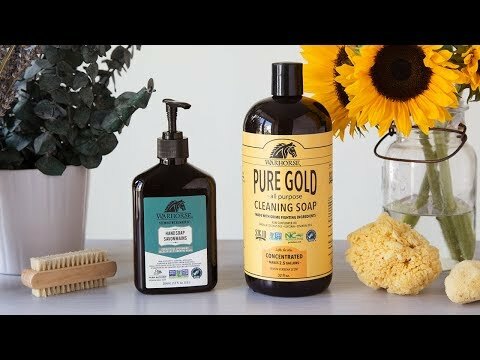 It’s all made in North Carolina from Georgia-grown sunflowers. Founder Tawana Weicker started making the cleaners after she’d already conquered making her own biodiesel from leftover cooking oil. We were pleased at how well Warhorse worked. Some green cleaners can be light on effectiveness, but Warhorse brought a funky trash can back to sparkling clean life. 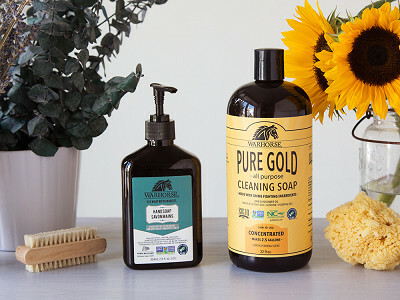 It’s no wonder that sunflower oil soaps have been used for years. And the quick-cleaning, fresh-smelling power will help with chores big and small around the house. Hello everyone! I'm proud to introduce Warhorse to The Grommet. I'd be happy to answer any questions you have! Tawana, The all-purpose soap would not be used to wash dishes, correct? @J Hello! Yep, for dishes. We even have restaurants that use our Pure Gold in the commercial dish washers. 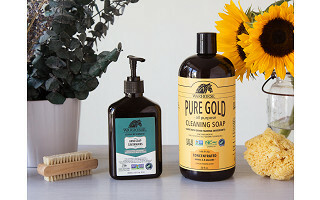 This soap is good at cutting grease on pots and pans too, and if you're camping, then Pure Gold is versatile for all cleaning and no phosphates, VOC's. You won't need gloves. Let me know if you have other questions. Is your soap good for people with dry skin? You'll find you use less lotion. Our recipe has skin loving superfoods. Our unfiltered sunflower oil hasn't had the sunflower waxes, carotenoids, lecithin stripped out during refining. And the avocado, almond, Dead Sea minerals add extra moisturizing. And it's concentrated, so like 3 bottles of soap that clean and feed the skin. 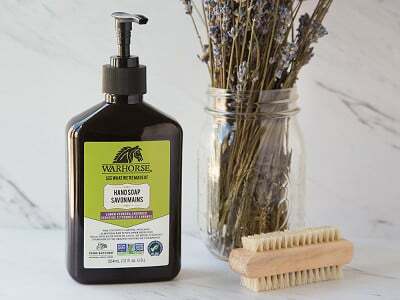 The sunflower-based biodegradable soap from Warhorse is tough on things like grease and dirt, but is surprisingly gentle on skin. That’s why this old-fashioned cleaner is still a go-to. Plus it’s all-natural, non-toxic, and non-GMO, too. It’s all made in North Carolina from Georgia-grown sunflowers. 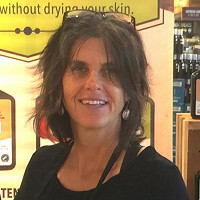 Founder Tawana Weicker started making the cleaners after she’d already conquered making her own biodiesel from leftover cooking oil.